This station has two center platforms. See sign for destination before heading to the platform. 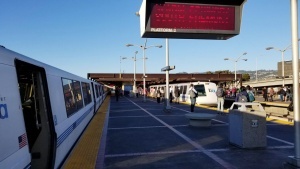 This is the timed transfer point for trains to Fremont and trains to SFO. Platform 2: to Warm Springs. AC Transit lines 6 and 800 stop on Telegraph & 40th. 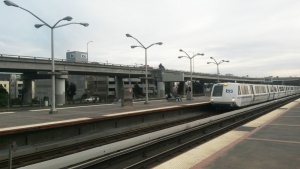 MacArthut Station - Shellmound St/Powell St.
MacArthur Station - Watergate Apts.